Teachers Network: Adaptor Grants: What Type of Home do you Live In? Jennifer Rousseau is a second-year first grade teacher. She received her masters degree this year and is a member of the NYC teaching fellows. Students were taken on a community walk, which was videotaped. Digital pictures were taken of the buildings. During the walk, the students had to identify the different characteristics of the buildings in their neighborhood. Students were asked to draw a map of their community. The students had to read, write, listen, and speak to obtain the information they needed to complete the projects. 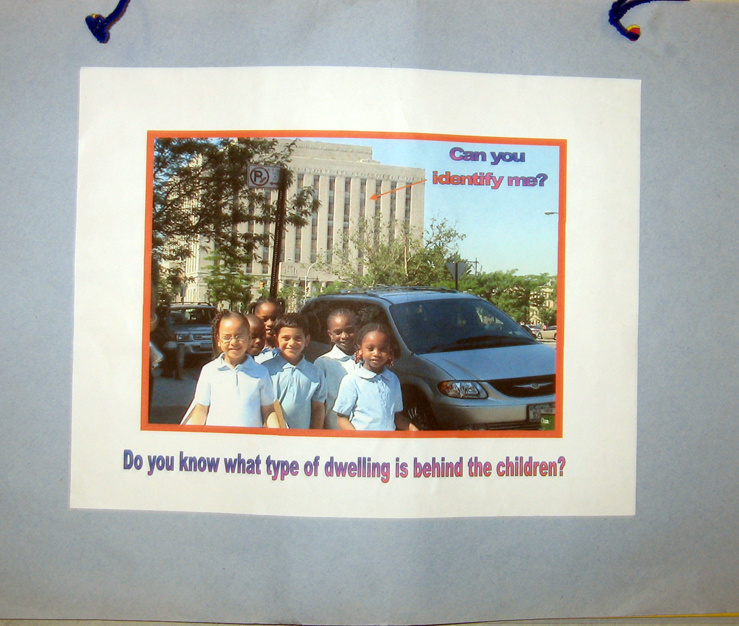 The students had to identify the characteristics of the dwellings in their neighborhood. They also had to compare/contrast these characteristics. During the community walk, the students had to use accountable talk to discuss the buildings they saw. Digital pictures- pictures were also taken of the buildings in their neighborhood. The students were able to refer to them for their comparison activity. 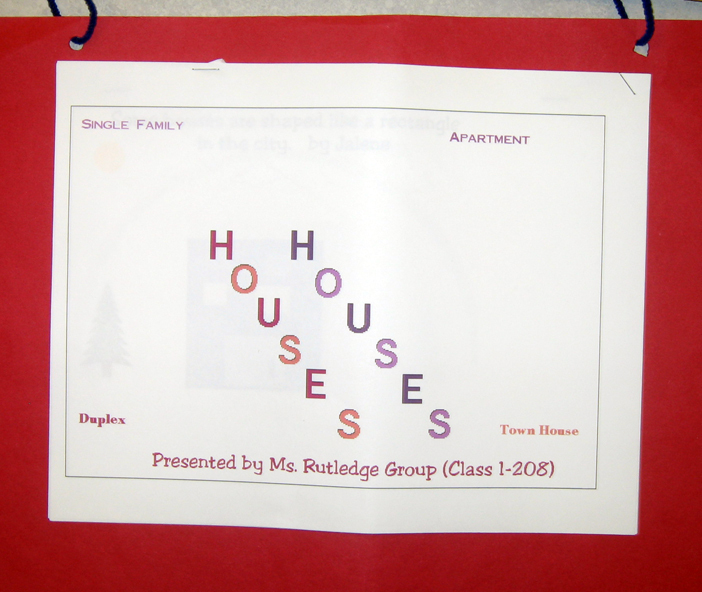 Computer software - students used kidpix to draw different dwellings. 1) The students were observed for both language and content area. It is important to assess both when working with ESL students. 2) Accountable talk was very important for this unit because the students were sharing information about their community. Therefore, they were observed to make sure everyone was participating in the group discussion. 3) Final products were also assessed. Since the unit was created for kindergarten, more challenging activities need to be assigned for older students. I highly recommend a community walk. This way, the students will be able to see how dwellings differ.